ISLAMABAD: Continuing to share concern over India-US defence and nuclear cooperation, Pakistan on Thursday said that the defence agreement between the two sides could only “add to the conventional asymmetry and hence strategic instability in the region”. It also said India’s massive acquisition of weapons ‘complicates’ regional stability. “India’s defence spending has increased by 12 percent in 2014-15 and stands at $38.35 billion. India has been the top buyer of arms for the last three years. In this backdrop, the US-India ten-year defence agreement can only add to the conventional asymmetry and hence strategic instability,” Foreign Office Spokesperson Tasnim Aslam told a weekly press briefing. In Thursday’s media briefing, the FO spokesperson said Pakistan has been proposing a three-pronged ‘Strategic Restraint Regime’ based on conflict resolution, nuclear and missile restraint and conventional balance. “Pakistan firmly believes that confidence-building and arms reduction in the regional and sub-regional context are of paramount importance,” she said. The spokesperson said Chinese President Xi Jinping’s visit to Pakistan, which was postponed last year, was “very much on the cards” but exact dates were not finalised as yet. The FO diplomat termed China a ‘global power’. “China is a global power and it is a factor of regional stability. We are engaged with China very extensively and we believe that globally and regionally China has an important responsibility and role to play for peace, stability, prosperity and development,” Aslam said. Asked whether Pakistan would support China for the membership of South Asian Association for Regional Cooperation (SAARC), she said, “I’m not aware that China has evinced interest in becoming a full member of SAARC but China’s engagement has a positive and salutary impact on SAARC. If China’s role increases, it would benefit the organisation as such. While Toukan’s answers are authoritative, they have not yet succeeded in convincing Jordanian skeptics. Perhaps that’s because serious safety problems emerged at Palo Verde in 2013. Or maybe Toukan’s unsubstantiated 2014 claims before parliament—that radiation leaks from the Israeli nuclear reactor at Dimona were resulting in increased incidences of cancer in the Kingdom—have further soured Jordanians on nuclear energy. It’s also possible that heightened fears of terrorism fueled by the recent territorial gains by the Islamic State in Syria and Iraq or ISIS, are dampening enthusiasm for the project. In the face of continued foreign and domestic opposition, it isn’t clear that Jordan will actually proceed with the nuclear option. Today the Atomic Energy Commission is calling nuclear power “a strategic choice,” but with nearly a million Syrian refugees in the Kingdom, a stumbling economy, a rising threat of terrorism on the home front, and with a downed Jordanian pilot currently held captive by ISIL, King Abdullah could punt, delaying a decision—and avoiding confrontation with Washington—for the indefinite future. Given the ongoing challenges, for the time being at least, no nukes should be a no-brainer for the Kingdom. A North Korean nuclear plant is seen in Yongbyon, in this photo taken June 27, 2008 and released by Kyodo. (Reuters) – North Korea may be trying to restart a nuclear reactor that can yield plutonium for atomic bombs, a U.S. security think tank said on Wednesday, citing new satellite imagery. RIYADH/ON BOARD AIR FORCE ONE: Saudi Arabia’s King Salman and U.S. President Barack Obama tackled a range of sensitive regional issues Tuesday during Obama’s one-day visit to Riyadh, as the Saudi monarch highlighted his country’s stance that Iran should not be allowed to acquire a nuclear weapon. The two leaders touched on the volatile situation in Saudi Arabia’s neighbor Yemen, where Shiite Houthi rebels have launched a power grab, as well as the thorny negotiations between Iran and the West over a nuclear program that Iran insists is for civilian and not military purposes. King Salman expressed “no reservations” about the ongoing talks but added that Riyadh was adamant that Iran not be allowed to build a nuclear bomb, an administration official said. The two leaders also touched on stability in the oil market and the king expressed a message of continuity on Saudi energy policy in their talks, the official said. The talks were attended by Crown Prince Muqrin and Deputy Crown Prince Mohammad bin Nayef, along with several high-ranking Saudi officials, while Obama was joined by a high-powered delegation that included former secretaries of state and a Republican critic of the administration’s Middle East policy. Speaking to reporters on Air Force One after Obama departed Saudi Arabia, the official said the two men did not discuss current oil prices. He said the king suggested Saudi Arabia would continue to play its role within the global energy market and that one should not expect a change in the country’s position. During his brief stop in Riyadh Obama held his first formal meeting with King Salman, newly installed on the throne following the death of the 90-year-old King Abdullah Friday. The roughly hourlong meeting focused on a bevy of Mideast security issues – sectarian divisions in Iraq, the U.S.-led campaign against ISIS, the precarious situation in Yemen and support for Syrian opposition fighting President Bashar Assad, said the U.S. official who briefed reporters traveling with Obama on condition of anonymity, citing the private nature of the talks. Stepping off the plane earlier in Riyadh, the president and first lady Michelle Obama were greeted by Salman and a military band playing both countries’ national anthems. Some of the all-male Saudi delegation shook hands with Mrs. Obama while others gave her a nod as they passed by. Salman formally greeted Obama and the U.S. delegation at the Erga Palace on the outskirts of Riyadh, where dozens of Saudi officials filed through a marble-walled room to greet the Americans under massive crystal chandeliers. Then they sat for a three-course dinner of grilled meats, baked lobster and Arabic and French deserts. Obama cut short his trip to India to spend just a few hours in Riyadh. Further underscoring Saudi Arabia’s key role in U.S. foreign policy was the extensive delegation that joined Obama for the visit. Secretary of State John Kerry joined Obama in Riyadh, along with former Secretaries of State Condoleezza Rice and James Baker III, both of whom served Republican presidents. Former White House national security advisers Brent Scowcroft, Sandy Berger and Stephen Hadley also made the trip, as did Sen. John McCain, a frequent critic of Obama’s Middle East policy. CIA Director John Brennan and Gen. Lloyd Austin, commander of U.S. Central Command, which overseas military activity in the Middle East, also took part in the meetings with the Saudis. The U.S. and Saudi Arabia have worked in close coordination to address evolving security concerns in the tumultuous region. Most recently, Saudi Arabia became one of a handful of Arab nations that have joined the U.S. in launching airstrikes against ISIS in Iraq and Syria. Yet Obama’s presidency has also been marked by occasional strains with the Saudi royal family, particularly as Abdullah had pressed the U.S. to take more aggressive action to force Assad from power. (Bloomberg) — Pakistan has warned that growing U.S. cooperation with India on its civilian nuclear program could destabilize a region with a quarter of the world’s people. President Barack Obama announced during a three-day trip to New Delhi this week that the U.S. would support India’s entry into the 48-member Nuclear Suppliers Group. He also said the countries reached a breakthrough that would pave the way for investment in its civilian nuclear power sector. Pakistan and China are among nations questioning whether neighboring India deserves to gain further international legitimacy for its nuclear program, putting them at odds with the Obama administration. The Nuclear Suppliers Group, a set of nations exporting atomic reactors and fuel, was created in response to India’s widely denounced nuclear tests in 1974. Pakistan also objected to Obama’s support for India to get a permanent seat on the United Nations Security Council, Aziz said. Syed Akbaruddin, a spokesman for India’s foreign ministry, wasn’t immediately available for comment. The moves may be part of Pakistan’s strategy to build more nuclear reactors with China, said Anit Mukherjee, an assistant professor at the S. Rajaratnam School of International Studies in Singapore. In a joint statement on Jan. 25, Obama said India was ready for membership to the Nuclear Suppliers Group. He agreed to work with Indian Prime Minister Narendra Modi toward “phased entry” that would include joining three more global non-proliferation assemblies: The Missile Technology Control Regime, the Wassenaar Arrangement and the Australia Group. An agreement with the U.S. in 2008 helped India gain a waiver from the Nuclear Suppliers Group, which barred trade with any nation that hadn’t endorsed the Nuclear Non-proliferation Treaty, which India has refrained from signing. Pakistan isn’t a member of the group and doesn’t have a waiver. China noted Obama’s trip to New Delhi and said that India still needs to take more steps to meet the requirements of the Nuclear Suppliers Group, Foreign Ministry spokeswoman Hua Chunying said on Jan. 26. “Pakistan values its relations with the United States and expects it to play a constructive role for strategic stability and balance in South Asia,” Aziz said. Nuclear cooperation highlighted the meetings between Modi and Obama, who was India’s chief guest for its annual Republic Day parade. Among the breakthroughs was an end to a years-long deadlock on obstacles that blocked the U.S. from installing nuclear plants in India, which plans a $182 billion expansion of its nuclear industry. U.S. technology suppliers have questioned the depth of the agreement between Obama and Modi. Westinghouse Electric Co., the Monroeville, Pennsylvania-based nuclear builder owned by Toshiba Corp., said it would study an offer by India to create an insurance pool to shield suppliers from liability in the event of an accident. Former senior U.S. military leaders outlined the threat that violent Islamist extremists pose and put it into a larger global security context at a Tuesday hearing of the Senate Armed Services Committee on global threats. Gen. John Keane—a former vice chief of staff of the Army—recognized the split between the radical Shi’ia branch of Islam and the role Iran plays not only in the Middle East but beyond, using “proxies to attack the United States”—such as Hezbollah did in Lebanon or its sectarian militias did in Iraq—while developing its own nuclear and long-range missile capabilities and radical Sunnis. The radical Sunnis, through al Qaeda and its affiliates, “exceed Iran” in attracting recruits and threatening Europe and North America. He cited the recent attack in Paris at satirical weekly Charlie Hebdo and a Jewish supermarket as an example of radical Sunni reach outside of the Middle East. “We sure as hell are opinionated” as witnesses, he said. “[But] it is unmistakable that our policies have failed” in rolling back the Islamic State (sometimes called the Islamic State of Iraq and Syria (ISIS or ISIL) or in using drones to attack suspected terrorist targets in Yemen and Pakistan. Those actions “guarantee we will be incrementally engaged” without an overall strategy, Keane said. “We can’t have everything,” Adm. William Fallon, who also served as CENTCOM commander, said. “We’ve got to make choices,” he added, noting that it is impossible for the United States to solve the centuries-old divide between Shi’ia and Sunni and the even longer battle between Persians [Iran] and Arabs over control of the region. Zeroing in on Iraq, Fallon said it is critical that Sunnis there believe they “are getting a fair shake going forward” from the government of Prime Minister Haider al-Abadi. If they believe that, the tribes would be more likely to join the Kurds and largely Shi’ia Iraqi military in fighting ISIS. “We know ISIS and ‘reconcilable Sunnis’ are on a collision course,” Keane added. He said the Abadi government and its military do not want to wait any longer to retake Iraq’s second largest city, Mosul. “I don’t know if we will be ready by summer” to assist them with forward air controllers and air strikes, increased intelligence-gathering and sharing, special forces and additional trainers to be with Iraqi front-line forces in an attack on Mosul, Keane said. “We’ve got to have people on the ground with them,” he said. When asked, he put the number at 10,000 in that advise and assist role. He added that several brigades of ground forces, including coalition troops, should be in place in Kuwait if the attempt to retake the city stalls or fails. Mattis agreed on embedding forces with the Iraqis. Using forward controllers as an example, “you are seeing a much faster decision process” when they are available for planning and follow-up on a military operation that could keep an enemy off-balance. Across the Iraqi border, Keane called the situation of the Free Syrian Army “as complex a thing as we have had on our plate” as it tries to battle ISIS with its roots in among Sunnis and the regime with its ties to Shi’ia at the same time. Most coalition nations assisting the Iraqi government have limited air strikes against ISIS to that country. Iran is supporting the Syrian regime with forces and equipment. “Rigorous inspection” was the way Mattis described it. He said, “Economic sanctions worked better than I expected” in bringing Iran to the negotiations. Other steps could include a blockade, striking Hezbollah and the regime of Bashar al-Assad in Syria if talks fail. “The threat has shifted” in Europe, Keane said pointing to the Russian seizure of Crimea, support of separatists in Ukraine and threats to the Baltic States, now members of NATO. “Let’s put some permanent bases there,” closer to the Russian border, and re-look the decision to pull the missile defense system from Eastern Europe. As for a pivot to Asia and the Pacific, Fallon said the difference is rather small. During the Cold War, the Fleet was about evenly divided between the Atlantic and Pacific and the shift now would allocate 60 percent of the Navy’s 280 ships to the Pacific, a move of 28 ships. But it would be a step to reassure allies and partners in the region and China that the United States was still engaged, he and Mattis said. When asked about a return to the draft, all said that would not be a good idea, but the growing divide between the 1 percent who serve voluntarily and the American public is “a huge problem,” Fallon said. Mattis said the All-Volunteer Force “has been good for the military [in terms of quality] but bad for the country” [in terms of the divide]. “The force looks like America, and they want to be there,” Keane said. Most immediately, lifted sanctions on Iran’s oil and gas industry could spur tensions with other energy producers, such as Russia, Saudi Arabia, and Qatar. In last week’s State of the Union Address, President Obama threatened to veto new legislation affecting five issues, four of them in the domestic policy arena and just one covering foreign policy. The foreign policy issue in question involved the prospect of new sanctions legislation targeting Iran. Correspondingly, the administration has recently ramped up efforts to conclude a nuclear deal with Iran. Should the United States and its partners in the P5+1 — Britain, China, France, Russia, and Germany — strike a deal with Iran, the global oil and gas markets would no doubt be affected. Indeed, several leading oil and gas companies are already preparing for a return to business in Iran in the event sanctions are lifted. Such jockeying would only intensify once the Iranian oil and gas sector became fully available to international markets. However, the announcement alone of an agreement with Iran that removes international sanctions would accelerate the current steady downward trend of the global oil price. Thus, the oil price would be affected even before increased physical supplies of Iranian oil reached the market. And more oil would gradually return to the market, helping keep global oil prices low and perhaps depressing them even further. Burdened by sanctions, Tehran has offered discounts to regular buyers such as China, India, Japan, South Korea, and Turkey. The end of sanctions would most likely mean that such consumers would pay a price more in line with global prices. Accordingly, this could create an opportunity for Saudi Arabia and other Gulf producers to increase their market share. Since the Russia-Ukraine crisis erupted last year, Tehran has tried to position itself as a reliable alternative to Russia as a gas supplier to Europe. Indeed, Iran is the only state close to Europe’s borders that possesses enough natural gas to rival Russia’s dominance in most European gas markets. Iranian president Hassan Rouhani even stated recently that “Iran can be a secure energy center for Europe.” And Iran’s deputy oil minister, Ali Majedi, boasted in official Iranian media that “Iranian natural gas is Russia’s only competitor for Europe.” He continued that European countries could import Iran’s gas through three separate routes: Turkey, Iraq, or a pipeline running through Armenia and Georgia, and then under the Black Sea. However credible an option Iran might be for supplying Europe, two main obstacles would slow Iran’s entry into Europe’s gas markets: one, the need to produce more gas and, two, the need to build infrastructure to get it to Europe. To be sure, Iran is a significant natural gas producer, generating 160 billion cubic meters a year, third globally behind just Russia and the United States. Its output constitutes about 35 percent of annual EU gas consumption. Iran also has vast reserves. Yet interestingly, Iran is a net gas importer, with the country consuming a larger proportion of natural gas than any other country in the world. Iran’s high natural gas consumption rate is due in part to its very low domestic gas prices and thus low energy efficiency. Iran imports gas from Turkmenistan and Azerbaijan, while it exports a bit less to Turkey and Armenia. In Turkey, energy industry sources have reported that Ankara is preparing its pipeline infrastructure to enable transit of Iranian gas to Europe once sanctions are removed. However, natural gas production requires much larger investments than oil production, and concluding a supply contract generally takes a number of years. In addition, either long-distance pipelines or liquefied natural gas (LNG) facilities cost billions of dollars, with these costs recovered only over many years. Such investments are therefore not undertaken lightly. Accordingly, after sanctions are removed, it will probably take at least five years, and possibly much longer, until meaningful volumes of Iranian gas hit European markets. Europe will also compete with Asia for Iran’s gas exports, since LNG exports into lucrative Asian markets may be more attractive to Tehran than European markets. If Iran seeks to sell LNG to Asia, U.S. LNG exports to the region could find themselves challenged by a new competitor. However, this would take close to a decade to play out. On gas, Russia would take steps to block Tehran’s entry into European markets, as it has done in the past. In 2007, when Tehran inaugurated gas supplies to neighboring Armenia, Russia’s Gazprom immediately bought up the pipeline project within Armenia and built it with a small circumference to preempt its future use for transiting gas to European markets. Moscow and Tehran could also find themselves competing for gas market share in neighboring Turkey. Already Russia’s second largest gas export market, Turkey’s role in Russia’s gas export strategy has recently grown with Russia’s proposed route change of the South Stream export pipeline from Bulgaria to Turkey. Overall, cooperation between Russia and Iran rests on a rocky basis, and once Iran is released from sanctions and its conflict with the West, many issues of strategic competition between Tehran and Moscow will resurface, including in the sphere of gas markets. Another potential conflict that may emerge once sanctions are removed and Iran’s natural gas industry revives is with Qatar over the delimitation of their shared South Pars/North Dome field. This natural gas field is one of the world’s largest and the main source of Qatar’s massive LNG exports as well as the main area where Iran has been investing in new gas and oil capacity. Conflict between Doha and Tehran over delimitation has been forestalled somewhat by sanctions and the corresponding lack of investment in Iranian production in the contested field. If the United States and its partners can reach a deal with Iran, all players must understand the potential consequences of Iran’s reentry into the global oil and regional gas market. Most immediately, tensions could surge with other energy producers, such as Russia, Saudi Arabia, and Qatar. The downward spiral of global oil prices would also be reinforced. Tehran, it must be noted, could face serious difficulties finding markets for expanded output and attracting the needed investment in production and gas transit facilities. But in the long term, expanded Iranian output could create more supply options for European and Asian gas markets. Brenda Shaffer, a specialist on international energy issues, is currently a visiting researcher at Georgetown University’s Center for Eurasian, Russian and East European Studies (CERES), on sabbatical from the University of Haifa, where she is a professor in the School of Political Science. She authored the Washington Institute study Partners in Need: The Strategic Relationship of Russia and Iran. Last year saw Australia’s uranium production reach its lowest point since 1998 while Kazakhstan maintained its position as the world’s largest uranium producer. 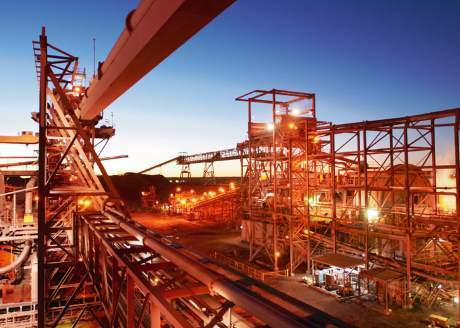 Australian production of 5897 tonnes U3O8 (5000 tU) was down from 2013 production of 7488 tonnes U3O8 (6350 tU) despite the start of operations at the Four Mile in situ leach uranium project in South Australia, and was the lowest for the country in 16 years. The figures reflect the loss of production at Energy Resources of Australia’s (ERA) Ranger mine, out of action until June 2014 following the rupture of a leach tank in December 2013. The mine had ramped up to full throughput by the end of September and by year end, Ranger had produced 988 tU. Four Mile also started operations in June and by the end of the year a total of 640 tU had been produced. Uranium from Four Mile is processed at the Beverley plant. Beverley’s own wellfields contributed 21 tU to the annual total, although production has been suspended since early in the year. The lion’s share of Australia’s 2014 production – 3351 tU – came from BHP Billiton’s Olympic Dam, where uranium is produced as a by-product of copper. Meanwhile, Kazakhstan remains the world’s largest uranium producer with 2014 total production of 22,829 tU, according to state nuclear company KazAtomProm. The company’s own share of production accounted for 13,156 tU of the total. The figure is slightly up from the 22,548 tU recorded for 2013, and Kazatomprom says it is in line with its expectations for the year. ISLAMABAD, Pakistan — In an unusually critical statement, a senior Pakistani official said that Pakistan remained opposed to India’s inclusion in the Nuclear Suppliers Group and feared that the country’s growing nuclear cooperation with the United States could harm deterrence efforts in South Asia. The statement by Sartaj Aziz, the Pakistani national security adviser, came after President Obama wound up his visit to India, during which the United States and India announced an array of trade and strategic agreements. Pakistan and India have had an antagonistic relationship since the end of British rule and their partition in 1947. In recent years, Pakistan has viewed growing United States-India cooperation with apprehension. “Pakistan is opposed to yet another country-specific exemption from N.S.G. rules to grant membership to India, as this would further compound the already fragile strategic stability environment in South Asia,” Mr. Aziz said Tuesday in the statement. The Nuclear Suppliers Group is a 48-nation body established 40 years ago to ensure that civilian trade in nuclear materials is not diverted for military purposes. In addition to opposing India’s membership in the group, Mr. Aziz also criticized American support for granting a seat to India on the United Nations Security Council. “A country, in violation of United Nations Security Council resolutions on matters of international peace and security, such as the Jammu and Kashmir dispute, by no means qualifies for a special status in the Security Council,” the statement read, referring to the Himalayan region of Kashmir, over which Pakistan and India have fought three wars. “Radical Islam, as I’m defining it for today’s discussion, consists of three distinct movements who share a radical fundamentalist ideology, use jihad or terror to achieve objectives that compete with each other for influence and power,” he said. “In 1980, Iran declared the United States as a strategic enemy and its goal is to drive the United States out of the region, achieve regional hegemony, and destroy the state of Israel. It uses proxies, primarily as the world’s number one state sponsoring terrorism. Thirty plus years Iran has used these proxies to attack the United States. To date, the result is U.S. troops left Lebanon, Saudi Arabia, and Iraq, while Iran has direct influence and some control over Beirut, Lebanon, Gaza, Damascus, Syria, Baghdad, Iraq, and now Sana’a, Yemen,” the general continued. “Third, the Islamic State of Iraq and al-Sham, ISIS, is an outgrowth from Al-Qaeda in Iraq, which was defeated in Iraq by 2009. After U.S. troops pulled out of Iraq in 2011, ISIS reemerged as a terrorist organization in Iraq, moved into Syria in 2012, and began seizing towns and villages from the Syria-Iraq border all the way to the western Syria from Aleppo to Damascus,” he reminded the committee. Bridget Johnson is a veteran journalist whose news articles and opinion columns have run in dozens of news outlets across the globe. Bridget first came to Washington to be online editor at The Hill, where she wrote The World from The Hill column on foreign policy. Previously she was an opinion writer and editorial board member at the Rocky Mountain News and nation/world news columnist at the Los Angeles Daily News. She is an NPR contributor and has contributed to USA Today, The Wall Street Journal, National Review Online, Politico and more, and has myriad television and radio credits as a commentator. Bridget is Washington Editor for PJ Media.